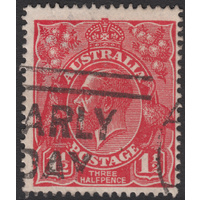 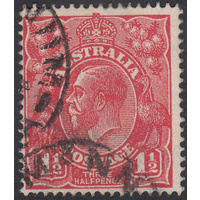 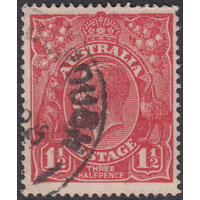 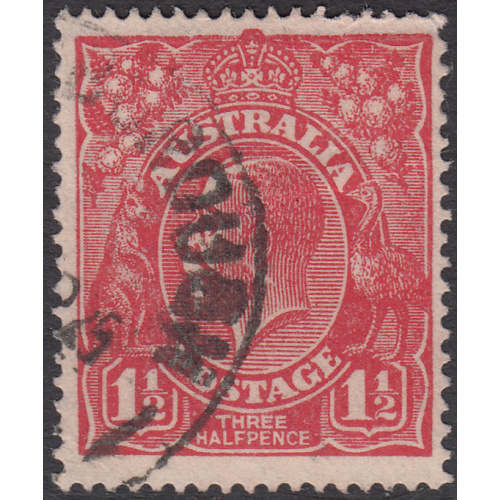 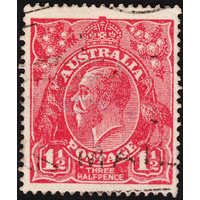 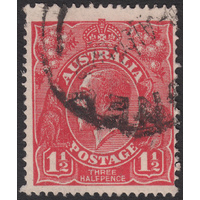 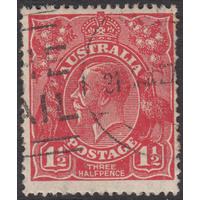 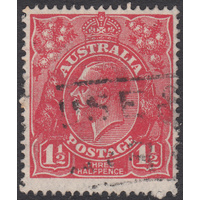 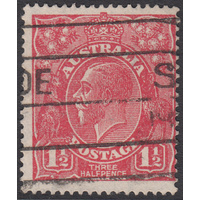 Australia KGV 1924, 1&1/2d Red, Single Watermark, variety 14L3, (Diagonal gash below King's ear) in Good Used condition with a few blunted perforations at top and a crumple at left. 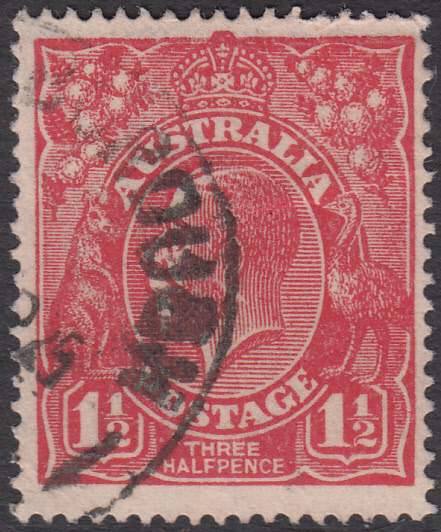 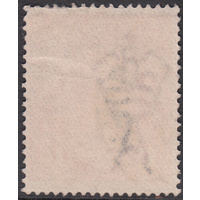 Well centered with a circular datestamp cancellation (1925) passing through but not obscuring the variety. 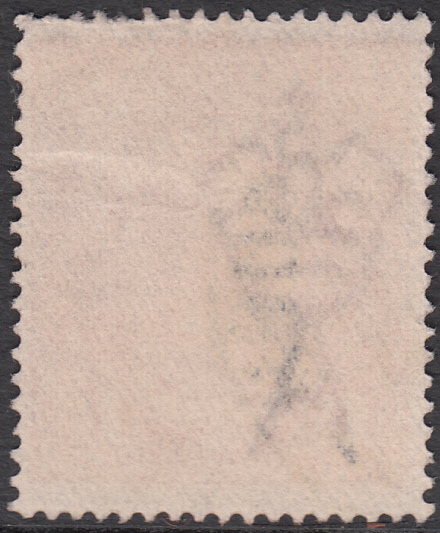 BW 89(14)d.